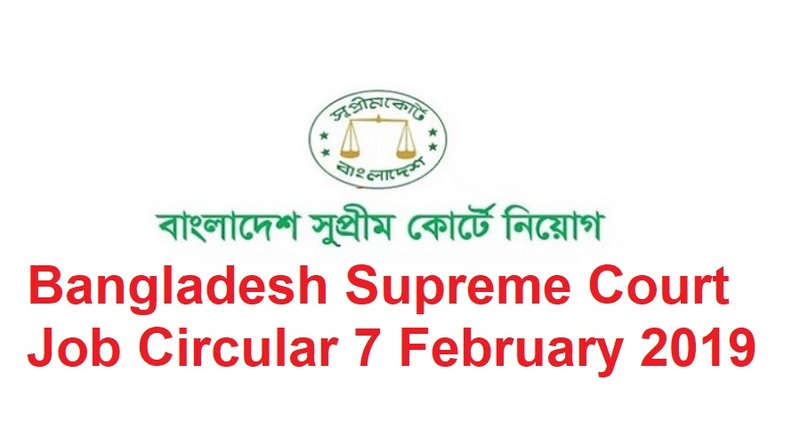 Bangladesh Supreme Court Job Circular 2019 has been published by the authority on 7 February 2019. The notice of this circular is given on supremecourt.gov.bd. 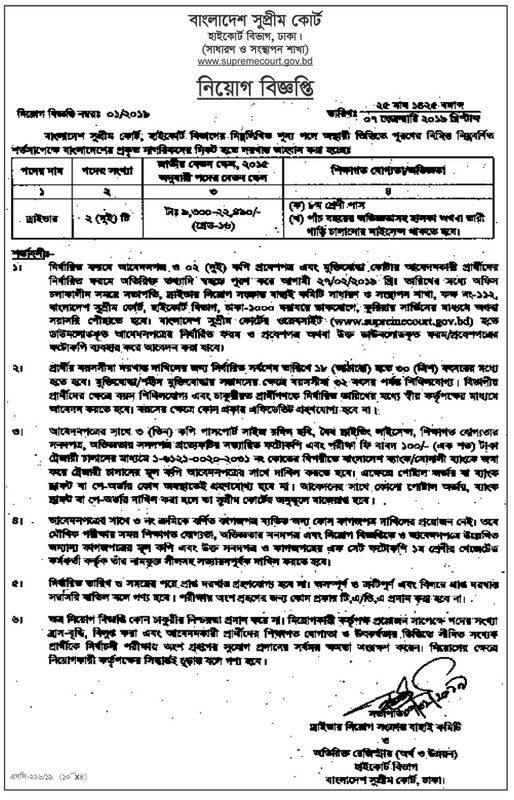 We have also attached the Bangladesh Supreme Court jobs circular within this post. Supreme Court is offering two driver jobs in this circular. You will get all the information about the job inside the circular. JSC/JDC, SSC, HSC pass student can apply for this job. If you are looking for other job circulars then visit our website. We have an updated job circular every day. You will get Government jobs, Private jobs, Company jobs, NGO jobs, Bank jobs etc. job circular in this website. You have to apply for the job before the last date of submission. Bangladesh Supreme Court Job Circular 2019 is given here? Bangladesh Supreme Court has published a job circular; they needed two drivers on the basis of a temporary job. Those are interested in this job requested to apply for it with all documents. For this job, the candidates must have to pass at least JSC and must have five years driving experience with the license. The application has to submit before on 27 February 2019. The salary and other requirements for details are mentioned on the circular.